We’re happy you’ve decided to consider a CIMSEC as an organization worthy of your support. First, let’s all savor that free part – because we mean it. CIMSEC membership, and all the content on this website, will be free – Forever. However, helping us provide a regular donation stream gives CIMSEC the stability to plan long term for regular costs, and the flexibility to pursue new events, projects, and expansion ventures. Mahan noted that modern steam-powered navies needed coaling stations to be an effective global force; the modern internet-ship of CIMSEC needs a reliable constellation of funding stations. Since our plan is to remain advertisement free, we make the humble request that our community members and supporters consider a charitable monthly donation. We are starting this steady-state funding drive now out of a desire to continue building our long-term institutional resilience. Our board, officers, editors, writers, and other associated partners happily volunteer their time and money to the cause when and if the need arises – and the CIMSEC community was more than kind during our opening Kickstarter campaign. However, when we turn CIMSEC over to a new generation of leaders, I hope we can present them with an institution that can wholly fund itself for the forseeable future with a known and stable source of funding. 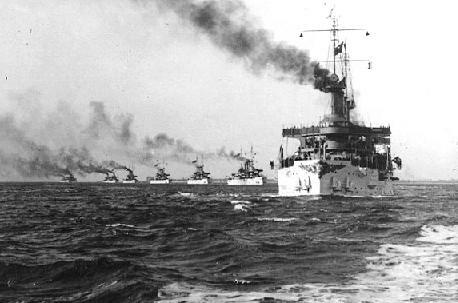 For roughly the price of an Arby’s Brown Sugar Bacon BLT, a Chili’s Triple-Dipper Appetizer Plate, or for the more generous, a Large Hawaiian Stuffed Crust Pizza Hut pizza, you can stoke the coal fires of this intellectual Great White Fleet! It’s 100% fat and calorie free, unlike those other things I mentioned that are 100% delicious fat calories. Your investment will fuel the continued development of this community and its home online – a place to constructively engage other passionate people on the issues of maritime security, technology, defense, and international affairs. From hosting your articles in our ever-expanding catalog of material, to facilitating the topic weeks you love, to hosting new events & community wargames, to building you a library of unique audio and visual media – you can rest assured, this is too much fun not to keep improving every day. Remember! We have been, are, and always will be free! No matter how you choose to contribute – from articles to allowance – we are incredibly grateful. Matthew Hipple, President of CIMSEC, is a US Navy Surface Wafare Officer and graduate of Georgetown’s School of Foreign Service. He hosts the Sea Control podcast and regularly jumps the fence to write for USNI and War on the Rocks.